Careergirldaily.com understands that your privacy is vitally important. We respect and value the privacy of everyone who visits our website and will only collect and use information in ways that are useful to you and are consistent with your rights and our obligations under the law. This Policy applies to our use of all data we collect in relation to your use of our website. Please read this Policy carefully and ensure that you understand it. Your acceptance of this Privacy and Cookies Policy is deemed to occur upon your first use of our website. If you do not accept and agree with this Policy, you must stop using our website. “we/us/our” means Career Girl Daily London Ltd trading as CareerGirlDaily.com, a limited company registered in England and Wales with number 11045894 and whose registered office address is Office 15-3812 Vertinum 51 Portland Road, Kingston Upon Thames, Surrey, KT1 2SH. This Policy applies only to your use of our Site. It does not extend to any websites that are linked to from our Site. We have no control over how your data is collected, stored or used by other websites: you should check the privacy policies of such websites before providing any data to them. Personal data is any information about you that enables you to be identified. Personal data covers obvious information such as your name and contact details, but it also covers less obvious information such as identification numbers, electronic location data and other online identifiers. When no longer needed in light of the reason(s) which it was first collected. We will only store or transfer your personal data within the EEA. This means that it will be fully protected under the GDPR or to equivalent standards by law. Where we transfer your data to a third party based in the United States of America, this may be protected if they are part of the EU-US Privacy Shield. This requires that third party to provide data protection to standards similar to those in Europe. More information is available from the European Commission. Notwithstanding the security measures we take, the transmission of data via the internet may not be completely secure. You should always take suitable precautions when transmitting data via the internet. We do not share your data to third parties unless we have your permission to do so. In certain circumstances, we may be legally obliged to share data held by us, which may include your personal information – for example, where we are involved in legal proceedings, or where we are complying with the requirements of legislation, a court order or a governmental authority. We do not require any further permission from you in order to share your data in such circumstances and will comply as required with any such legally binding request that is made of us. In addition to your rights under the GDPR, when you submit personal data via our Site, you may be given options to restrict our use of your personal data. 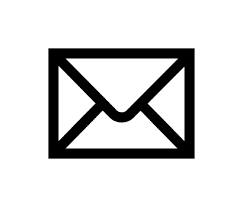 In particular, we aim to give you strong controls on our use of your personal data for direct marketing purposes (including the ability to opt-out of receiving emails from us which you may do by unsubscribing using the links provided in our emails). You may also wish to sign up to one or more of the preference services operating in the UK: the Telephone Preference Service, the Corporate Telephone Preference Service, and the Mailing Preference Service. These may help to prevent you receiving unsolicited marketing. Please note, however, that these services will not prevent you from receiving marketing communications that you have consented to receiving. You may access parts of our Site without providing any data at all. All subject access requests should be made in writing and sent by to the email or postal address shown in clause 14. There is not normally any charge for a subject access request. However, if your request is manifestly unfounded or excessive (for example, if you make repetitive requests) we may charge a fee to cover our administrative costs in responding. We will respond to your subject access request within one month of receiving it. Normally, we aim to provide a complete response, including a copy of your personal data, within that time. In some cases, however, particularly if your request is more complex, more time may be required up to a maximum of three months from the date we receive your request and, if relevant, your fee. By using our Site, you may also receive certain third-party Cookies on your computer or device. Third-party Cookies are those placed by websites, services and/or parties other than us. Third-party Cookies are used on our Site by third-party advertisers. These Cookies are not integral to the functioning of our Site and your use and experience of our Site will not be impaired by refusing consent to them. Before Cookies are placed on your computer or device, you will be shown a pop-up requesting your consent to set those Cookies. By giving your consent to the placing of Cookies you are enabling us to provide the best possible experience and service to you. You may, if you wish, deny consent to the placing of Cookies; however, certain features of our Site may then not function fully or as intended. Our Site uses analytics services provided by Google Analytics & Kinsta. Website analytics refers to a set of tools used to collect and analyse anonymous usage information, enabling us to better understand how our Site is used. This, in turn, enables us to improve our Site and the products and/or services offered through it. The analytics service(s) used by our Site use(s) Cookies to gather the required information. You do not have to allow us to use these Cookies; however, while our use of them does not pose any risk to your privacy or your safe use of our Site, it does enable us to continually improve our Site, making it a better and more useful experience for you. You can choose to enable or disable Cookies in your internet browser. Most browsers also enable you to choose whether you wish to disable all Cookies or only third-party Cookies. By default, most internet browsers accept Cookies, but this can be changed. For further details, please consult the help menu in your browser or the documentation that came with your device. You can choose to delete Cookies on your computer or device at any time; however, you may lose any information that enables you to access our Site more quickly and efficiently including (but not limited to) login and personalisation settings. We may change this Policy as we may deem necessary from time to time, or as may be required by law. Any changes will be posted on our Site and you will be deemed to have accepted the revised Policy on your first use of our Site following the changes. You should therefore check this page regularly.